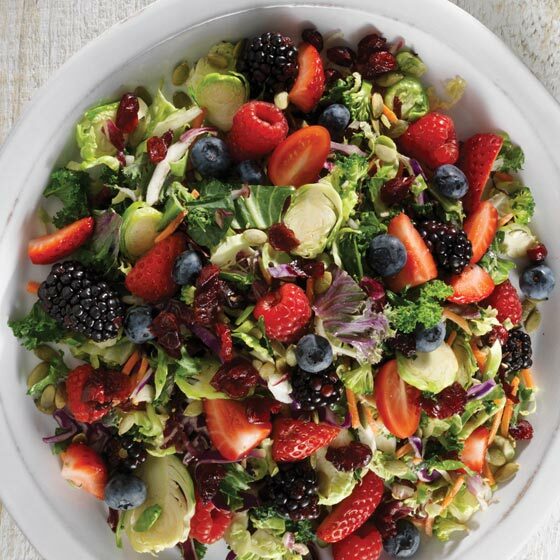 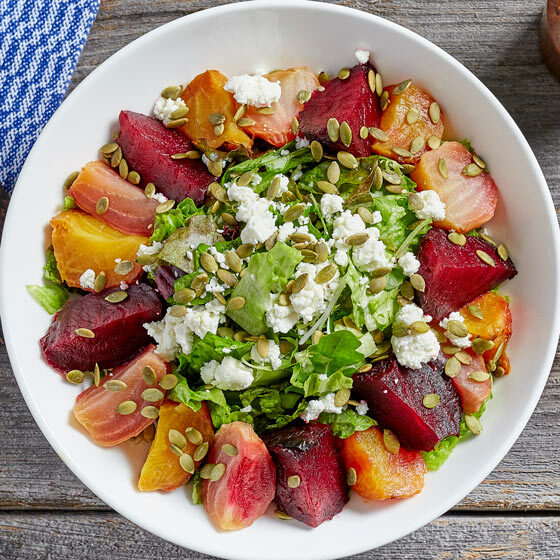 Kale, sliced Brussels sprouts, red cabbage, carrots, mixed berries, grape tomatoes, dried cranberries, pumpkin seeds with vidalia onion vinaigrette. 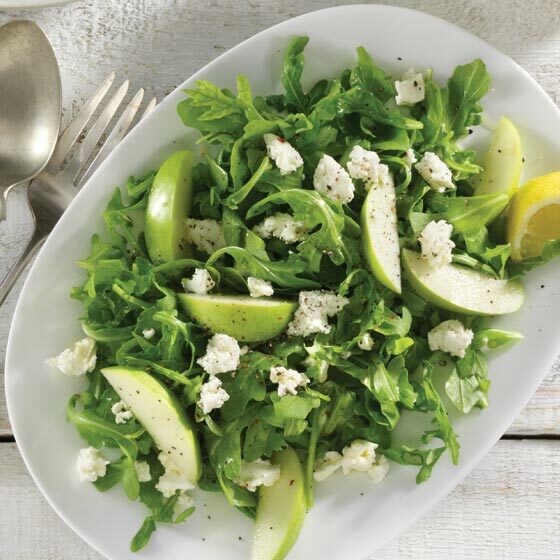 Granny smith apples, arugula, roasted pumpkin seed, goat cheese in a lemon vinaigrette. 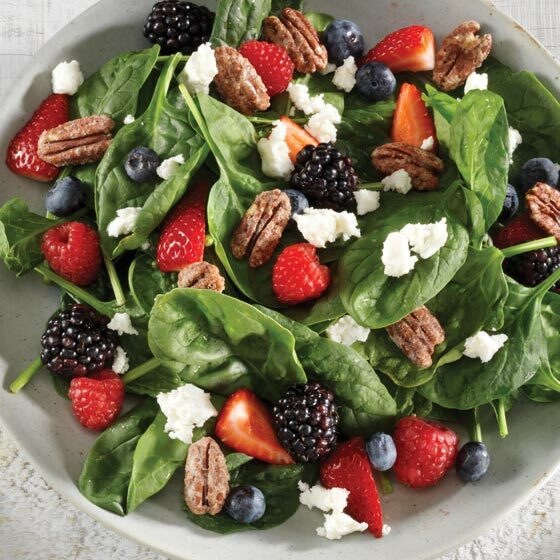 Fresh berries, baby spinach, radicchio, goat cheese and candied pecans with balsamic vinaigrette. 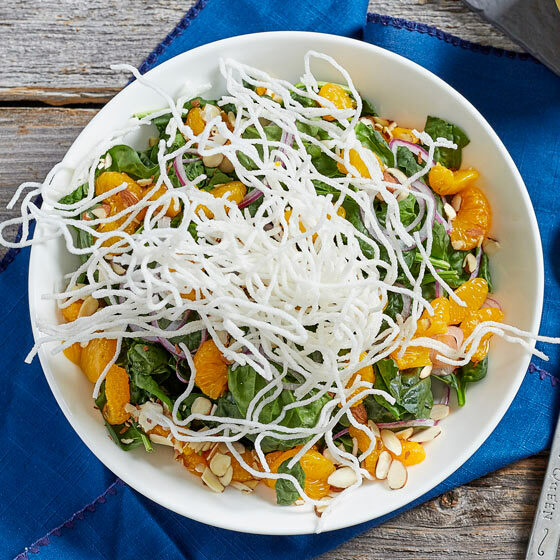 Baby spinach, toasted almonds, Mandarin oranges, red onion and feta topped with crunchy noodles and citrus vinaigrette. 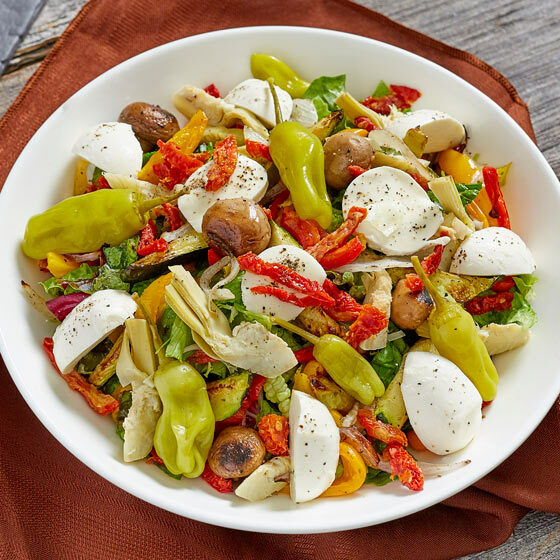 Mixed greens, grilled vegetables, roasted artichokes, sundried tomatoes, hot peppers, bocconcini and goat cheese with balsamic vinaigrette. 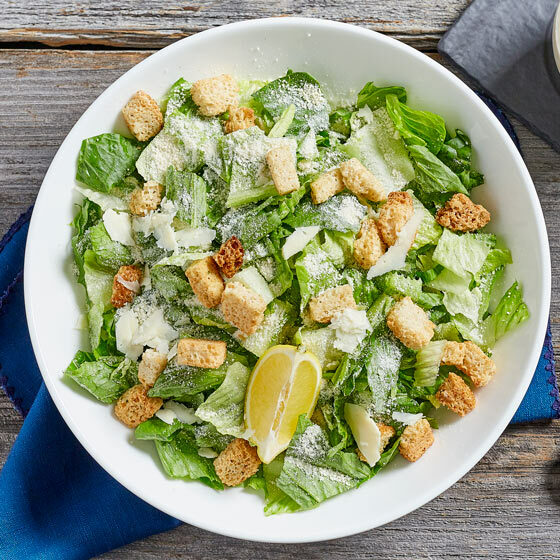 Romaine lettuce, croutons and parmesan with our creamy Caesar dressing. 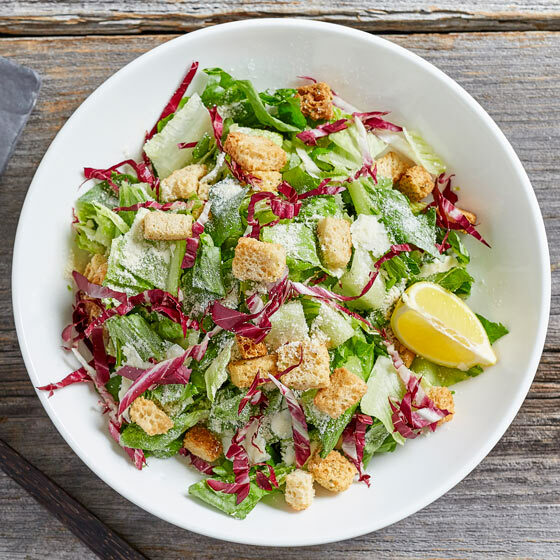 Romaine Lettuce, radicchio, croutons, parmesan, and our house made honey mustard Caesar. 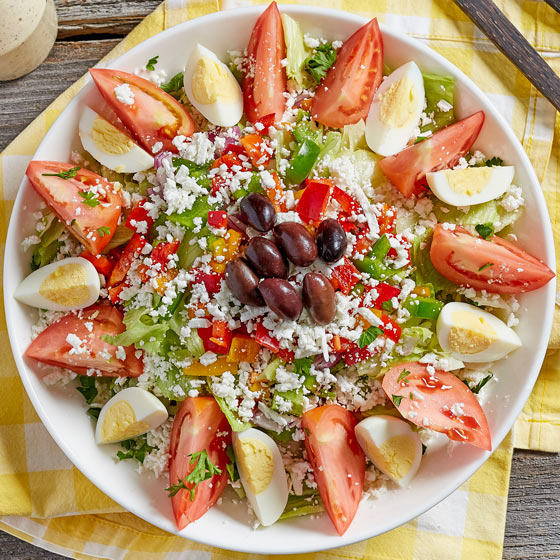 Iceberg lettuce, mixed vegetables, feta, black olives, egg and tomato with our creamy Greek dressing. 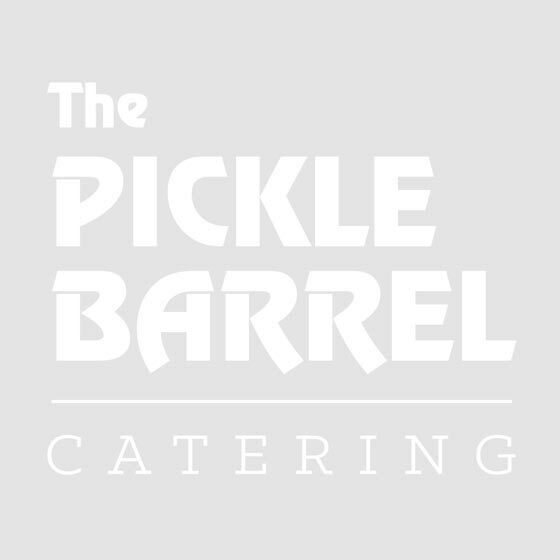 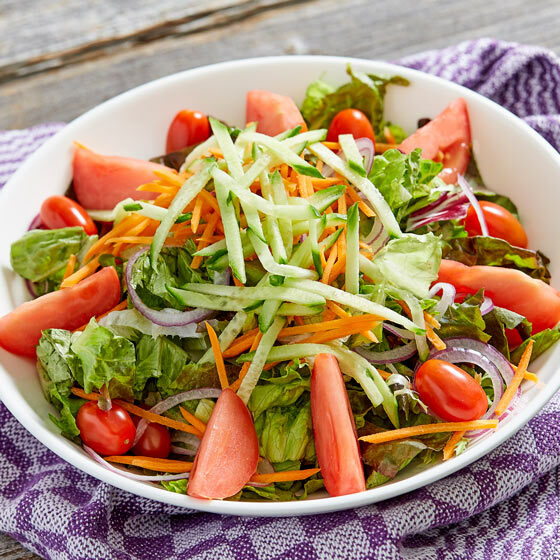 Mixed greens topped with fresh tomatoes, julienne of carrots and English cucumber with Vidalia onion dressing.